In late July, SSPPLS traveled to one of our favorite spots, Bangor, Maine to perform a simultaneous triple 20″ linestop on cast iron pipe for the Bangor Water District so that they can continue to improve their infrastructure. This was our second trip up to Bangor in the last year. 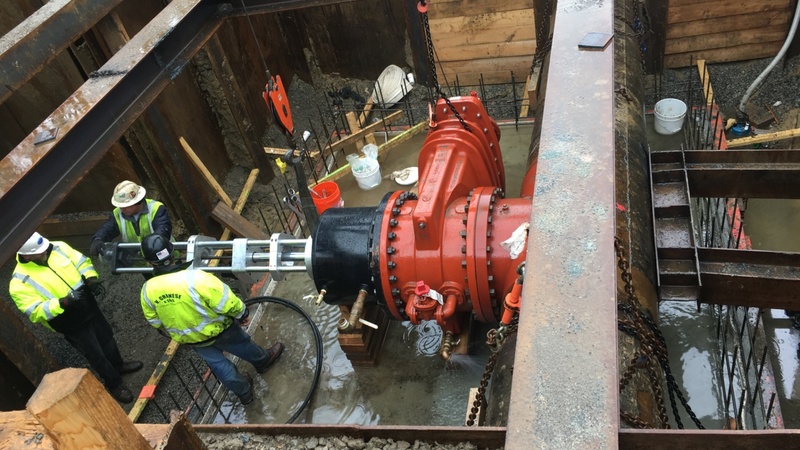 Once we installed the three linestops into the pipe late on the first day, the water district crews took over and removed the existing piping configuration and re-engineered and installed a new valving configuration to give them better shutdown capabilities. As usual, the Water District crews were so organized and efficient that we were in and out in less than four days.